Fresh, Local, Grass-Fed, and Pasture-Raised Meats custom cut just for you by our trained butchers and conveniently delivered to your work or a local pick up point. Each box comes loaded with fresh and seasonal cuts straight from your butcher, and has some cooking tips and recipe ideas in there, too. Each cut is vacuum-sealed to ensure maximum freshness and makes freezing a cinch. Now all you have to do is get cooking. Worried about whether or not it fits with your diet? Don’t. All of our meat is gluten-free, dairy-free, and perfect for everything from elimination diets, to Whole30, and Paleo. For those of you that want a discount, some variety, and for someone else to do all the decision making this is for you. Each box is $150 dollars and has 12-16 pounds of meat, an average of $10.71 per pound. It comes fresh, never frozen, in a cooler bag that’s delivered to a drop off point of your choosing at a regular interval that you pick. That means that you can mix up which boxes you get and how often. We also offer further discounts for paying ahead of time. Need some extras with your box? We’ll drop off eggs, bone broth, breakfast sausage, or more ground beef with the rest of your goods for an additional fee. This is for those of you that want to put together a custom box. Here you’ll find a large variety of cuts, sausages, and dry-age that you can piece together and tailor to the needs of your family and your freezer size! There is not a discount and we require a $75 minimum. The boxes can be delivered to any of our drop off points or picked up in store. We care about meat that’s delicious because we know that flavor matters. 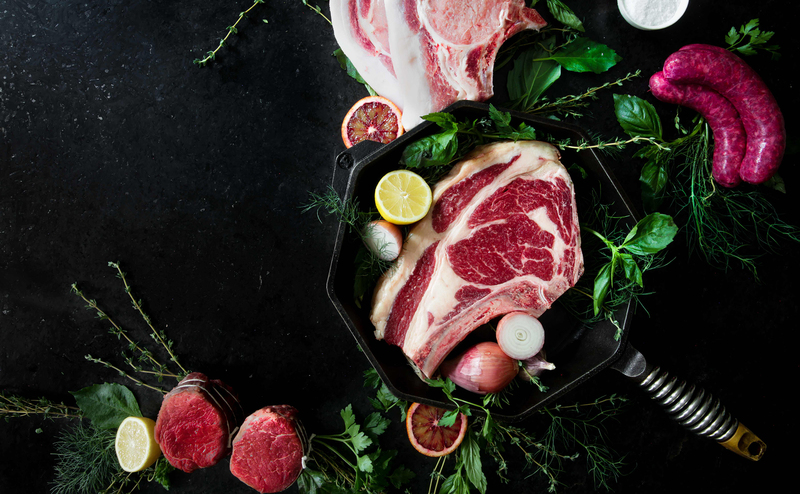 We specialize in tender and marbled grass-fed and pasture-raised meats that taste better than anything you’ve had before. We even have our own dry-aging program to sweeten the deal, delivering grassfed steak with an extra depth of flavor. Every hand cut steak is fresh, so that it’s easy for you to just add salt and heat for a simple meal knowing that you’re catering to your taste buds while fueling your body with quality protein and healthy fats with a great omega-3 to omega-6 ratio. Had grassfed meat and not liked it? We challenge you to try ours. The fat and the raising practices mean the flavor is well-rounded, beefy but subtle, and the texture is out of this world. You love having a neighborhood butcher that knows the farms your meat is coming from and that can help you navigate new and exciting cuts and how to cook them, but you’re busy living your best life. You want to play as hard as you work and that means decreasing the time you spend running errands and increasing the time for your side hustle. We hear you. Your meat club box is delivered to your work or to a nearby pick-up point to save you a trip to the store, each cut vacuum sealed so it can move between fridge and freezer seamlessly. As an added bonus our cold bags will keep your meat cold outside of refrigeration for up to four hours. That means you can even bring it on your next camping or skiing trip. You keep seeing companies advertise things like grass-fed beef and sustainable practices but you want a closer connection to the farm. We’ve been serving up transparency for the last 4 years and our butchers are here to answer every question you have from farm to table. By sourcing locally and butchering every animal ourselves, we’re able to have a direct relationship with our farmers so that we can ensure our beef and lamb are 100% grass-fed, our pork and chicken are pasture-raised, and that every hand-cut steak is antibiotic, hormone, and GMO free - all while minimizing waste. 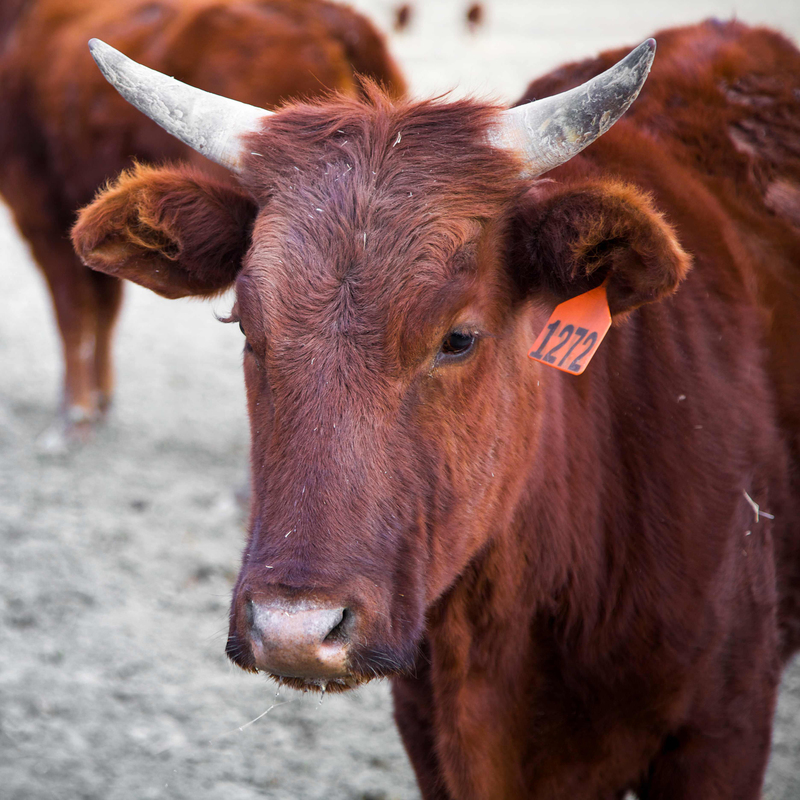 All of our ranch partners are within 150 miles and employing holistic land management practices. You came to us because you care about the details and we do too. Want to learn more about the details? Just ask. We are always excited to share information about our incredible farm and ranch partners and our own methodology. Our beef and lamb are 100% grass-fed and never given grain. They come from local ranches that have as much a mind for the welfare of their animals as they do for the stewardship of their land. Every ranch is striving to use regenerative land management practices. Our pork and chicken are pasture-raised. What does that mean? To us, it means that animals have 24/7/365 access to dirt and sunshine. These animals are rooting around on the dirt and grass and have access to shelter during cold snaps. Our animals are never given sub-therapeutic antibiotics or hormones and all supplemental feed is non-GMO. All of our cattle ranches grow their own grass that they turn into hay for winter feed. None of our animals are certified Organic. We ensure, however, that they are all raised BEYOND organic standards. This means that pesticides and herbicides are never used on land or feed, that their access to dirt and sunshine and shelter is unfettered, and that our slaughterhouses follow animal welfare approved standards. We bring in whole animals and butcher them in our facility, which means that we cut to our standards to minimize waste and ensure more fun interesting cuts for you! We are committed to farmer welfare as much as we are to animal welfare. We ensure that at least thirty cents of every dollar you spend with us goes directly back to a farmer. That’s more than twice the national average. Concerned about carbon and methane emissions? So are we. Our farmers employ grazing techniques that help build up grass on their pastures, which in turn helps sequester carbon in the soil. It also helps the soil hold more water, lose less topsoil, and helps diversify ecosystems. As for methane, cattle that only eat grass produce substantially less methane in their lifetime. So you want to become a meat club member, what’s next? Following the prompts, you choose the box that fits your needs and any add-ons that you want in your delivery. You choose the pickup location that works best for you. If there isn't one close by, don't worry, we will continue adding locations and you can always change pick up locations. Choose the payment method and frequency of deliveries, weekly, bi-weekly (every 2 weeks), and monthly are available. Your meat club subscription is ongoing so it renews after each delivery but you can pause it at any time through your Farmigo dashboard and will not be charged again until your next pickup. How often should I get deliveries? It depends on the size of your family and how often you cook at home. One box is around 20-25 portions of meat, with a portion size of 6-8 ounces. That's around 25 meals for one person, 12 for 2 people, etc. Remember that kids eat less and that you can often stretch roasts for several meals. What if I get something that I have never cooked before? Western Daughters does our best to utilize animals from nose to tail. This means that you may get a cut or roast that you have not cooked before. Have no fear, we are here to help. We will have instructions on general cooking techniques included in the boxes and we are always happy to get into “the meat” of cooking. Just give us a call at the shop or shoot us an email and we will take care of any questions that you may have. What if I do not want a certain type of meat? We cannot individually customize your box at this time. If you or anyone in your family have dietary restrictions, let us know via email and we will work with you to eliminate any products that don’t fit your restrictions. If you prefer to build your own order you can place a one time a la carte order through our online store and pick it up like any other box. How does my meat box get delivered? Your meat subscription will be delivered to your designated pickup location during scheduled pickup windows. You will receive an insulated grocery bag on your first subscription delivery and we encourage you to bring it with you each time you pick up. Your box will contain fresh, individually vacuum sealed cuts, ready to be coked or transferred to your freezer within a week. What if I go on vacation and need to hold off on a pickup? Simply log in to your Farmigo account and place your account on hold for as long as you like. Any hold, however, needs to be placed by the Sunday before the scheduled delivery week. What if I miss a meat club pickup? 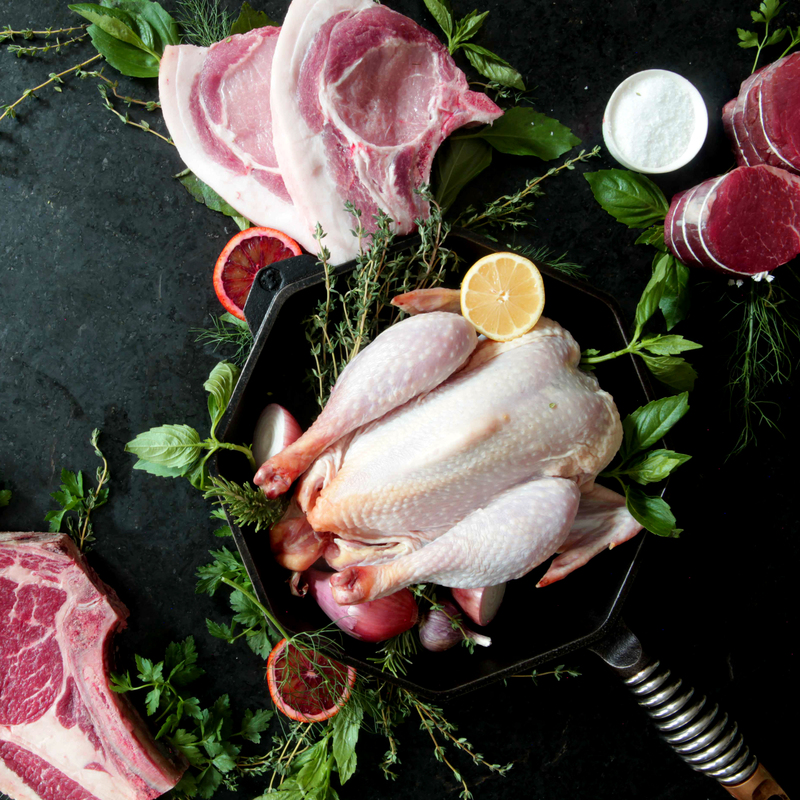 Your meat club subscription assumes a commitment from its members for regular deliveries. Subscription packages and webstore orders are non refundable. As the storage situation at our pickup locations is limited we cannot guarantee storage beyond your designated locations pickup window. Should you have an emergency, let us know as soon as possible and we will arrange for a late pickup within 24 hours. If you are picking up at one of our primary store locations we can hold your box for 48 hours. We use an online software platform called Farmigo to manage our Meat Club menberships. When you sign up, a secure safe member profile is created for you. Through your profile you can change your payment method, change your pickup date and location, pause your deliveries, and change your designated box all from your profile page. We accept all major credit cards as well as electronic checks. 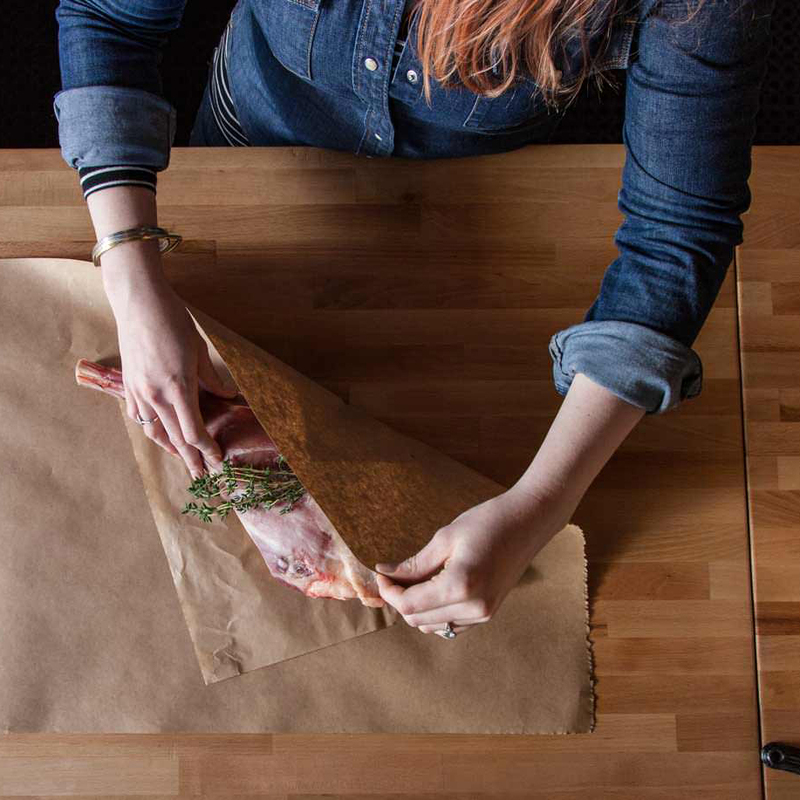 You can choose one of two methods to pay for your meat club deliveries. You can either choose to pay for a certain number of boxes at once or, if you think that you will be changing up your order a lot and adding things on a la carte, you can choose the option of paying into an account where each order is taken off of your account total and you pay in to your account when it goes below a certain amount. There are some perks and benefits to paying ahead that will be explained as you move through Farmigo.